Title: Israel Has Lost The First Battle of This New Arab-Israeli War! Subtitle: History will undoubtedly record that the war between Israel and Islam began on or about May 14, the 59th Anniversary of Israel becoming a nation! And, Israel has lost the first battle, as the town of Sderot, closed down now because of the daily rocket and mortar barrage. Weekend war action demonstrated that this war intensified greatly, almost to regular combat status! Now you know why Iran's President announced for all the world to hear that "the countdown has begun" to Israel's destruction. Even the IDF has said it has begun a countdown towards war! While we were all looking toward the beginning of this next Arab-Israel War on either June 5 or June 7, the 40th Anniversary of Israel's Six Day War, we might have missed the REAL beginning of this war, which may have begun on or about May 14, the 59th Anniversary of the Jewish State. On May 14, the Israel Cabinet, under the direction of Prime Minister Olmert, refused to order the IDF into action against Palestinian mortar and missile fire coming from The Gaza Strip. That day marked a turning point, because Palestinian mortar and missile attacks began a pattern of firing every single day, with most days representing an increase in violence over the day before. Every day after that Cabinet non-decision on May 14, Islamic fire has become more and more intense causing more and more destruction. The first attack target was obvious, the Jewish settlement of Sderot, a town of 20,000, only one kilometer from The Gaza Strip! Today, Sderot is virtually a ghost town, with most of the residents having fled. A Jewish billionaire has even created a temporary tent town to house many of these citizens. Last week, rocket fire knocked out the electricity generating capacity of this town, thus completing its general destruction. Heady with victory, Hamas chortled that they were going to go after Ashkelon next. Now that Sderot is largely destroyed, the first battle is over, and is said to have been won by the Palestinians. Let us review this article now, for the ramifications are HUGE! "... in the battle for Sderot, Israel has in effect been defeated. The superfluous declarations about the possibility of war with Syria should not divert our attention from the defeat in Sderot." If Haaretz News believes that Israel has lost the battle for Sderot, then the Islamic leadership believes it, too. In fact, we posted an article some days back, reporting that Hamas leadership is quite pleased with the way in which their war against Israel is going! Cutting Edge was the first to report that the Israeli government and the vaunted IDF, had deliberately lost the Second Lebanon War, July-August, 2006. Now, the Islamic brain trust believes they have just won this first battle over Sderot. All-out wars have begun on this type of deliberate misinformation! Now, let us go back to our featured article on Haaretz News. "Israel is experiencing something in Sderot that it has not experienced since the War of Independence, if ever: The enemy has silenced an entire city and brought normal life there to a halt. The despair of Sderot's mayor is one sign of what is happening ... what is happening in Sderot is a national disgrace." Because Israel won all the wars since her rebirth as a nation on May 14, 1948, rather handily, the Arabs became discouraged, convinced that they could never win against the Jewish State. However, the "loss" of the Second Lebanon War in 2006 began a chain of events which have convinced the Islamic leadership in the Middle East -- headed by Iran -- that the time to defeat Israel is now, because now is the time period in which Israeli vulnerability has occurred. Now that Israel has "lost" the first battle of this newest war, Islamic armies have got to be that much more pleased and sure of their capabilities against an enemy they perceive as being weak and inept, and with a people they perceive as having lost the will to fight. For this reason, Syria moved significant numbers of soldiers up to the Golan Heights the day after the Winograd Report was issued! This report savaged the IDF and the civilian leadership for their terrible performance in Lebanon, 2006. Furthermore, this report stated that the Israeli citizenry was discouraged and was not willing to fight any more. This campaign to convince Arab leaders that Israel does not want a war extended to a petition signed by IDF reserve officers. This next segment speaks to this particular issue. In fact, one of the reserve officers who signed the petition called PM Olmert and his civilian leadership "a bunch of clowns". When reserve IDF officers hold this kind of opinion of their leaders, Israel can be thought of as being weak and ready for the plucking. Another article appeared late last week, stating that most Israeli Air Force officers wanted out of the service, desiring to go into the civilian market. If this were really true, one of the most feared segments of the Israeli Defense Force is weakened. Watch the incendiary words in this next segment. "... in fact, the present government in particular, but its predecessor as well, has suffered a resounding defeat here ... That reinforces the assessment that this government is incapable of leading the nation in a major military confrontation ... The enemy that defeated Sderot is a terror organization that is militarily weak, yet in spite of its weakness, it has succeeded in achieving deterrence vis-a-vis Israel, just as Hezbollah did." This last segment truly represents the current battlefield conditions between the Palestinians and the Israelis. "... the almost total disappearance of the strategic principle set by David Ben-Gurion, to the effect that upon the outbreak of a military confrontation, Israel must quickly transfer the fighting to enemy territory. At present, it is the enemy who is immediately transferring the fighting to Israeli territory." These two latest "victories" were handed the Arabs by the Israelis on a silver platter; in our opinion, deliberately so, since Israel wants this fight and wants to be seen as the victim in the worst possible way. But, the Arabs believe it, and are acting on that belief. Therefore, we should not be surprised to see these most recent developments: the conflict is becoming more brazen and more like regular combat, as Palestinians are "transferring the fighting to Israeli territory". "In a serious escalation of Palestinian violence from Gaza, a band of Hamas, Jihad Islami and Fatah-al Aqsa crossed the border in broad daylight Sat., June 9, to kill and kidnap Israeli soldiers, just a year after they abducted Gilead Shalit. They failed. The assailants, who rammed the border fence in an armored jeep disguised as a TV truck, fired RPGs, automatic guns and hand grenades. Israeli troops, taken by surprise, fought back and killed one of the assailants. The rest escaped across the border ... The Palestinian gunmen struck across the Israeli border while a large Israeli contingent, backed by aircraft, tanks and bulldozers, was present in Gaza .. Questions are being asked about how the Palestinian infiltrators were able to cross the border and reach the Israeli position unnoticed." This attack was not only brazen, it represented a change in military tactics, from unconventional to more conventional. Even though the attack was said to have been repulsed by Israeli soldiers, the important fact is that it was attempted. Notice also that the headline states that, following this surprise cross-border attack, the Palestinians launched a 7-hour missile and mortar attack from Gaza. A seven-hour barrage is usually unheard of except in the context of war. Now, that is a serious escalation of this war. "After the Kissufim attack, a Fatah-al Aqsa spokesman declared that it was just the first of a series of cross-border raids against Israeli military and civilian locations." "HEZBOLLAH, the powerful Iranian-backed militia that fought the Israeli army last summer, has built a network of underground military bunkers under the feet of United Nations peacekeeping forces in southern Lebanon close to Israel’s border. It has rebuilt its fighting capability and Israeli intelligence now estimates that it has stockpiled 20,000 rockets." Notice the past tense of the sentences of this article. * Hezbollah "has rebuilt its fighting capability". * Hezbollah "has stockpiled 20,000 rockets." Therefore, is Hezbollah now ready to go to war against Israel? It is likely, because Hezbollah has really sunk some planning and effort into this latest effort to rearm in such a way as to be very difficult to destroy her command posts and the bunkers holding the rockets. "Before last summer’s war in Lebanon Hezbollah had more than 20 positions along the border. All were destroyed by the Israelis, who also killed several hundred fighters. Soon after the ceasefire agreement Hezbollah began to rebuild its positions in Shi’ite villages close to the Israeli border ... Modern equipment is used to sink the shafts, sometimes as deep as 70ft. Some bunkers are as wide as a football field, others can hold fewer than 10 fighters. They are equipped with sophisticated communications equipment and many are believed to be connected by tunnels, limiting Israel’s ability to destroy them from the air." The IDF experienced difficulty with destroying the bunkers last year. They essentially could not complete the destruction until they invaded with ground troops, who occupied the ground on top of the bunkers and then destroyed them. But, Hezbollah, according to DEBKAfile, has now deployed soldiers along the entire border between Lebanon and Israel. Are these Palestinian troops going to fight the Israeli ground forces, giving their bunkers more time to launch their 20,000 rockets? This next segment demonstrates Russia's major commitment to this next war. "Since last August huge quantities of arms, including Russian-made antitank missiles, short- and long-range rockets, small arms, mines and ammunition have been smuggled into Lebanon from Syria and Iran. Israeli military intelligence sources say there is particular concern over long-range Fatah-110 rockets that have been supplied to Hezbollah. This rocket, with a 125-mile range and a 500lb warhead, is an improved version of a Chinese assault rocket, said Uzi Rubin, an Israeli missile expert. These rockets could reach Tel Aviv ..."
This next war may have begun on or about May 14. Palestinian forces are getting bolder by the minute, and have initiated new tactics which are closer to real military combat that we have ever seen. 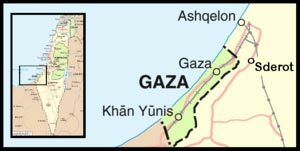 Remember, the Pentagon issued a report to the Congress in December, 1996, in which they stated that the Arab plan to destroy Israel was for the Palestinians to begin the war from within Israel, in both the Gaza Strip and the West Bank, forcing the IDF to commit forces to defeat this fighting. As soon as these IDF forces began to concentrate on the forces within the country, outside forces were to launch an all-out attack. Jordan is not mentioned as joining the attack against Israel, but given the devastating Biblical judgments against her province of Moab in Isaiah 34, we believe she will be drawn into this battle. Israel may even launch an attack on her as this fighting gets underway. We see reports that August seems a likely date by which Syria will attack Israel. Does this mean that the current Palestinian war will continue to escalate from now until then? We shall have to wait to see how events unfold. Not only is this the Islamic plan against Israel, but the Illuminati foresaw a need in 1870 for three (3) world wars before their Masonic Christ could appear (NEWS1015). History records that World Wars One and Two occurred exactly as this 1870 plan foretold. Current history reveals that the stage is being set for an accurate unfolding of the plan by which World War Three would occur. The Illuminati planned that this war was to be between Judaism and Islam. 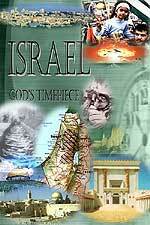 From this original genesis, the world would be engulfed in the all-out war which would produce Antichrist. Do we stand at the cusp of this war "between Judaism and Islam"? Events certainly suggest we are at the edge of this abyss now.